It cost the Papuan community approximately AU$5000 (US$3700) to fly us in for the week. Because nearly everyone who flies to Papua does so as part of the mining industry, fares are exorbitant. It took them more than two years to save the money, and now they are preparing to save up for our next visit. I calculate that if everyone who reads this blog makes a donation of between $10 and $20, that will make a substantial dent in raising the money needed for us to return. We can cut the time needed for them to save the money in half. If you can help, please send a paypal donation to rabbisbk@hotmail.com and email to let me know who you are. If you are in Australia, you can also give me cash. Terima kasih banyak--many thanks! And now for some photos. It's been a heck of a job paring down the dozens of photos taken by me and others. A photo from the Borobudur Buddhist Temple in Magelang. A large group of Muslim school students were visiting on a school trip, and these girls asked to interview me for a school project. I was so amazed to see devout Muslims visiting a decidedly pagan site. Definitely one of my favourite photos from the trip. I seriously doubt these young women know the meaning of the name of the business where they work! When I asked if I could take their photo, they positively jumped at the opportunity! Benny's uncle with his granddaughter. His uncle has been a Hindu his entire life, but married Benny's Muslim aunt and was content to see his children raised as Muslims. 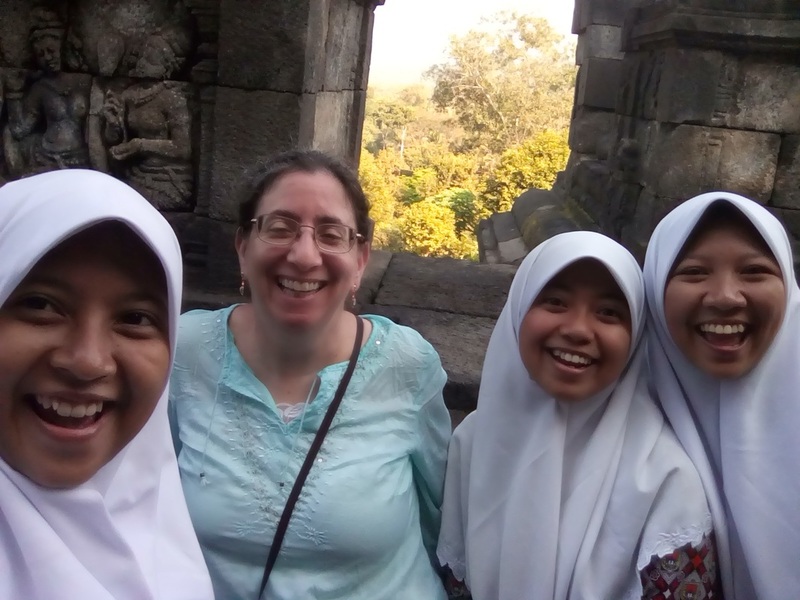 In Magelang near the end of a very long day, but we're still smiling! 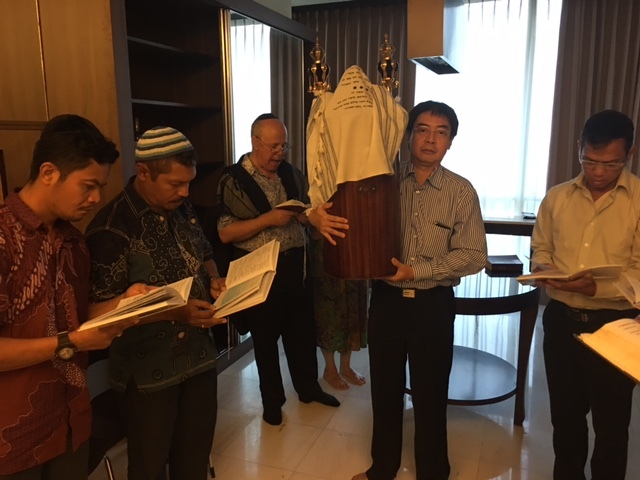 There is one Torah scroll owned by the United Indonesian Jewish Communities, and it travels across the country where needed. 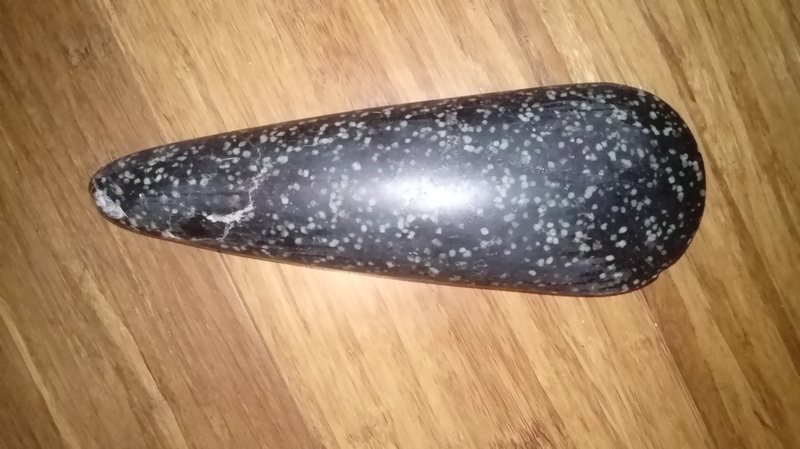 It is a Sephardic scroll, meaning that it is permanently housed in its casing. I love this magical image from the havdalah service that brought Shabbat to a close. Post-havdalah photo extravaganza! The Indonesians absolutely adore taking photos, and I've never been photographed so much in my life. Photo for the Blog Entry "Welcome to the Jewish People"
Post-mikveh and post downpour! Wet but happy. 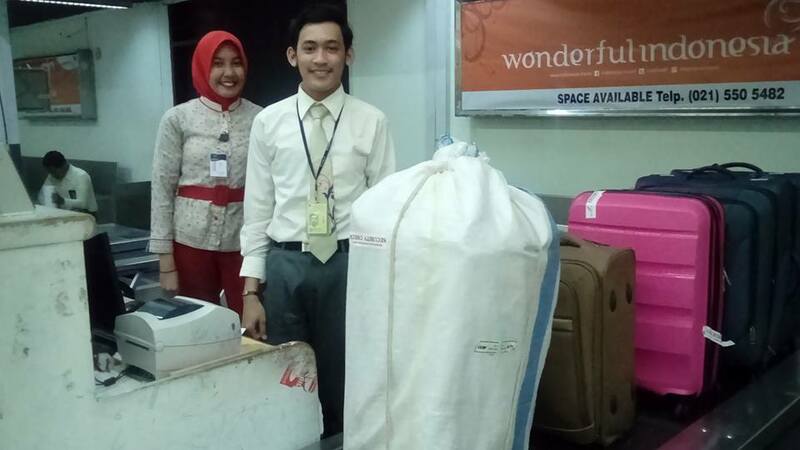 Photos for the Blog Entry "Not Yet"
Indonesia's Torah scroll wrapped up tight and ready for its flight to Timika. I was sure the customer service agents wouldn't allow a photograph because of "security," but they were thrilled to be a part of it. Beautiful faces greeted us after our long, LONG journey. 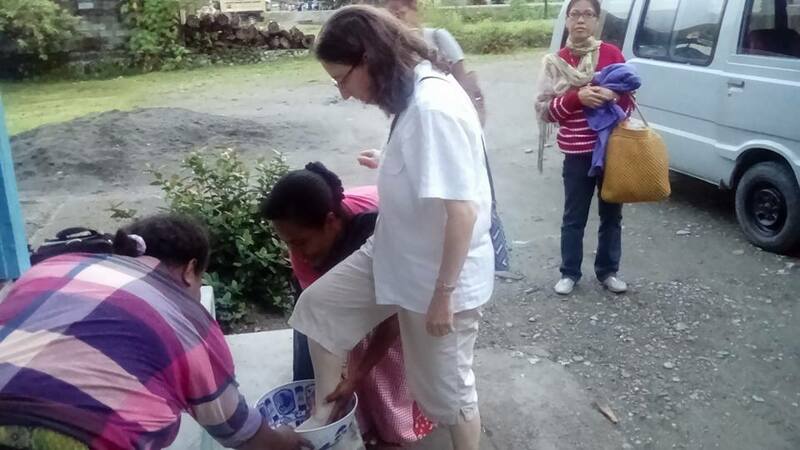 I was asked to place my feet one at a time in the bowl, and the two women anchored my feet on Papuan land. 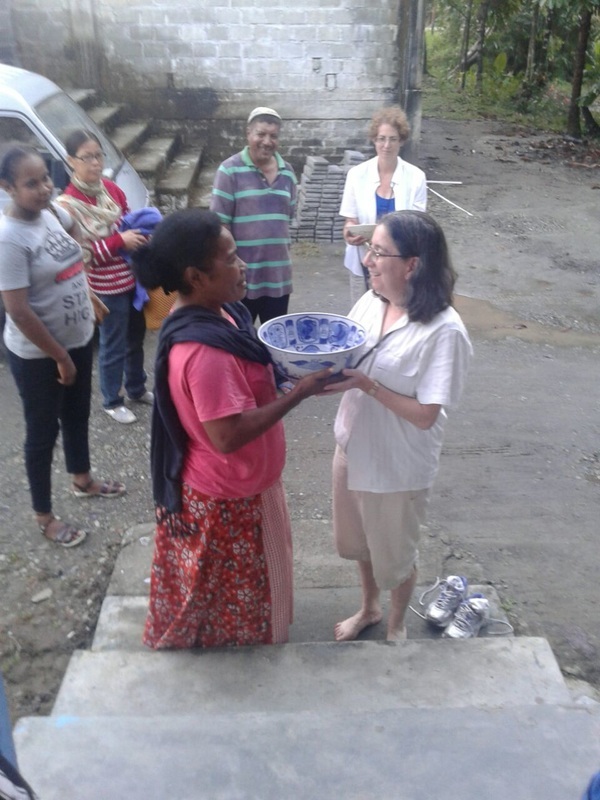 The bowl was then presented to me as a gift to tie me to Papua and its people. By the time we departed six days later, the bowl had been wrapped in layer after layer of cardboard to keep it safe for the journey. Photos for Blog Entry "Too Many Tears"
Rabbi David leads conversion students in a Declaration of Faith prior to immersion in the mikvah. 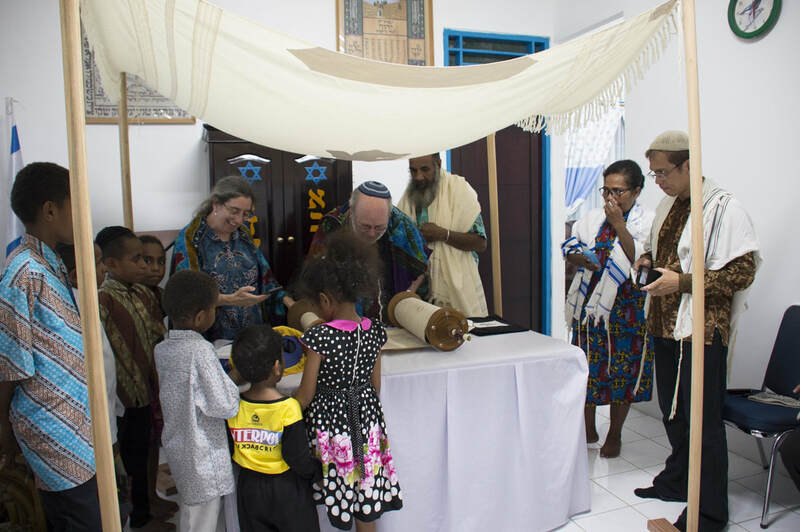 The ceremony took place in the synagogue that has been built brick-by-brick by the community. 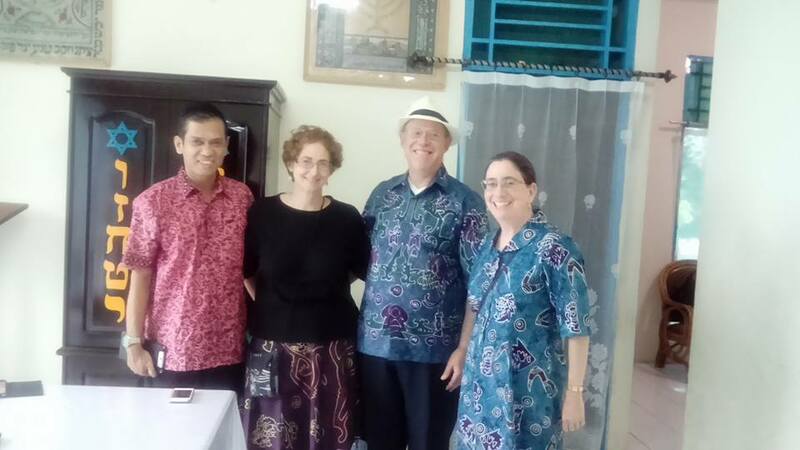 Batik rabbis ready for Shabbat! 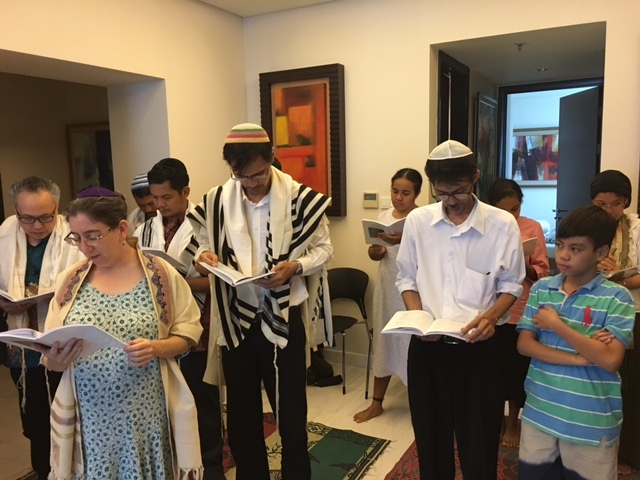 Many Jews across Indonesia have learned how to dress for Shabbat by looking at Chabad websites, where men always wear white shirts and dark pants. We wanted to model to them that you can proudly wear regional dress on Shabbat. We also spoke extensively about the idea of using batik fabric and imported fringes to make prayer shawls as a low-cost alternative to buying tallitot from overseas. Post-Shabbat presentations. 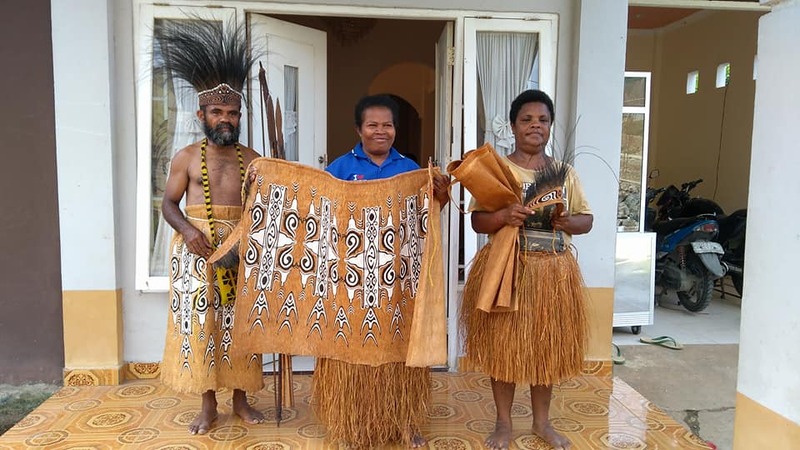 Two men from Jayapura who come from the Sentani tribe presented us with hand-made symbols of power and cultural connection. Very precious! Here we are in our Papuan regalia. The bags are hand-woven and strung with jadeite beads. Different coloured stones have different symbolic meanings among the Sentani people. Sadly, I haven't yet seen a really good photo of the whole Papuan community together. This is a fairly good representation. On Friday, we interviewed an additional two families and two individuals who had been unable to get to the Beit Din on Wednesday. In one of our early interviews, the woman we were speaking with kept tearing up. As we were coming close to the end of meeting with her, I asked her why she was feeling so emotional. She said that she couldn't believe that two rabbis had come to Timika. She burst into tears and sobbed on my shoulder. This was just the first of so many women who cried on Friday. After we finished our interviews, we walked across the path to the synagogue where the two mikvah baths had been filled. David led the twenty or so people gathered there in a declaration of faith, vowing to leave behind all previous religious paths and practice Judaism alone. More tears! Shelley and I brought the women into the mikvah one by one. We were both impressed by its design: it had concrete steps up to the lip of the bath and then more steps down into the water. There was a ledge next to the bath where Shelley and I stood to make sure the women were completely immersed in the water. My Indonesian vocabulary is getting better, but the gaps were very obvious. I would tell each woman that she needed to be "all in the water" and also "feet all in the water," since many women crouched into the water but kept their feet on the floor. It would have been helpful if I could say things like "off the floor." At any rate, we got there eventually. Each woman immersed three times: the first time I coached her through the blessing for immersion, the second time we recited the Shehechiyanu prayer for joyous occasions, and then after the third immersion she recited the sh'ma. Most women sang the shema just about as loudly as possible, and at least half of them cried while they were singing. Shelley and I teared up most of the time, moved by the joy and passion of these women. The little girls were much less impressed by the whole process and had to be encouraged strongly by their mothers to get themselves all the way into the pool. ​I think many Jews think of their Judaism as an old, comfortable jacket they keep in the closet. Depending on their level of observance, they may take the jacket out just a few times a year or every day. The jacket has the warm feeling of familiarity but often nothing much beyond that. 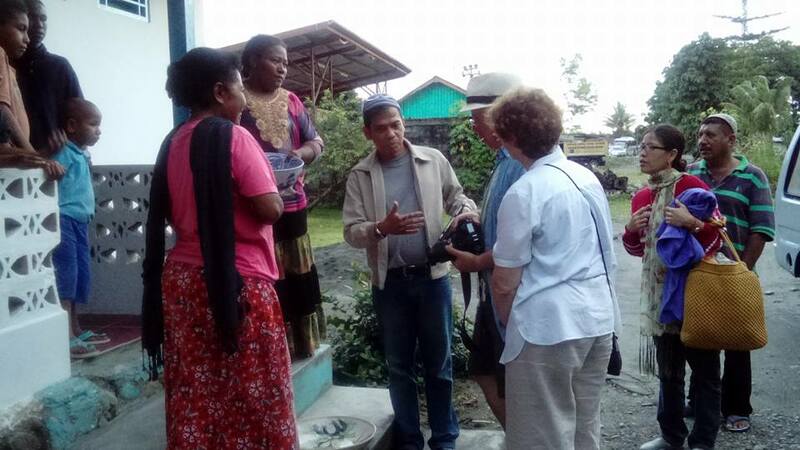 The Jewish community of Papua is completely different. 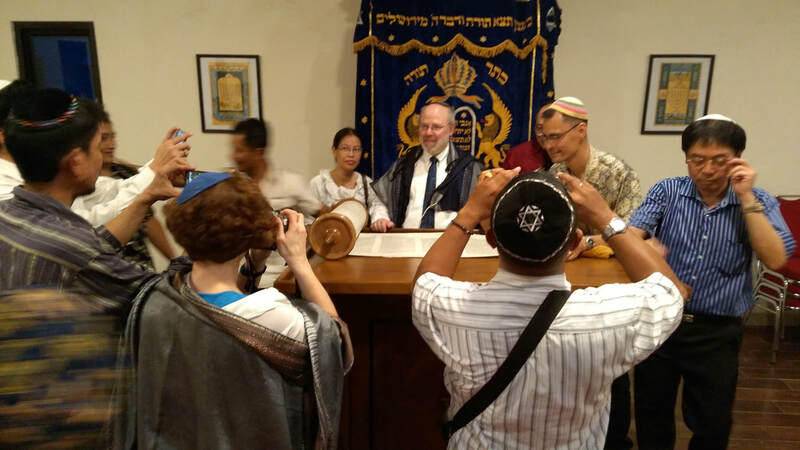 These are people who have embraced Judaism with a sense of urgency. 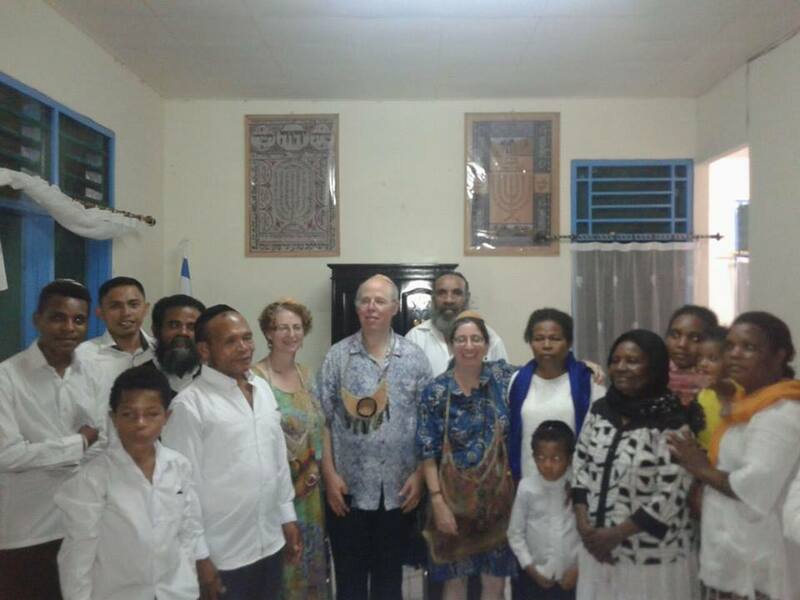 A few of those who joined us for the week live nearby, but most are far away and some had flown in from Jayapura. Ariela estimated she was hosting twenty people in her home, sleeping together on mattresses on the floor or in the shelter behind the house. What amazing dedication! On Friday night, we all sang V'shamru--the paragraph from Exodos which declares that Shabbat is a sign of God's covenant. The Papuans have altered the melody slightly, but the tune is still quite recognisable. They didn't sing it--they belted it out. This was one of the few times in my life when the singing was so loud that I couldn't hear the sound of my own voice. The ending of the Aleynu prayer, which looks to a more perfect day when God will be one, was even louder! The moment at Beit Shalom that comes closest during the year is when the congregation sings Avinu Malkenu at the Kol Nidre service. There were more tears at havdalah, and then presentations from the community. In gratitude for our work, Ben, David and I were all given envelopes stuffed with Indonesian rupias. I calculated that if ten families had contributed to the gift, each would have donated the equivalent of one months' salary! That in addition to the bowls we had been given on our arrival and also some striking local crafts adorned with local malachite. 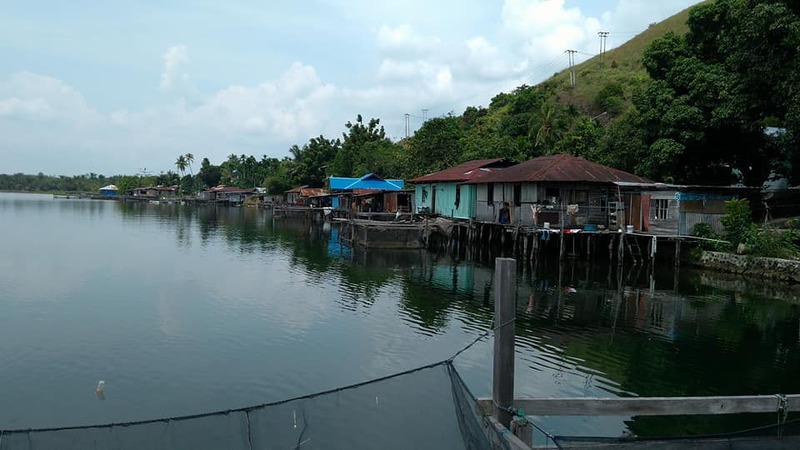 These families live in very simple homes with no hot water and no air conditioning against the tropical heat. And yet they dug so deeply to thank us. Their generosity was incredibly humbling. And then it was time for goodbyes. On Sunday morning, just about everyone came to the airport to see us off. When it was time to board the airplane, we hugged everyone goodbye and walked through security. I looked back at the window and saw two dozen warm faces waving goodbye. Sampai jumpa lagi--may we meet again soon! It is about 6:30 p.m. on Thursday evening, and I am sitting quietly in the living room while everyone else in the house grabs a nap. It is raining outside. It turns out that--wait for it!--we're in the middle of the rainy season! Yesterday it poured and poured for hours, and we watched the yard outside transformed into a lake. I thought of Noah--it really seemed as though the heavens had actually ripped open and were spilling their entire contents on Papua. We had a day off today, although we ended up spending much of the day riding around in a bulletproof van. This, of course, is a story in itself, but I will save that for another time. Suffice it to say that the politics of Papua are somewhat complex and very fraught, and today we enjoyed some valuable insights into the situation. What I'd really like to talk about is yesterday, which was one of the busier days of my rabbinic career. Over the course of eight hours, David, Ben and I interviewed at least sixteen people as one of the last steps in finalising their conversions. David's wife Shelley also sat in and offered occasional but very insightful comments. 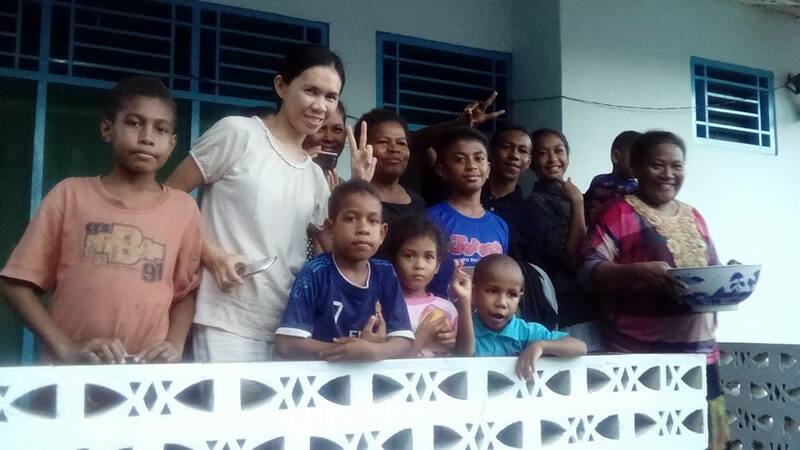 Our students came from a variety of backgrounds, including many native Papuans but also transplants from other parts of Indonesia. All had concluded that Judaism was the faith for them and had been celebrating together for at least two years. Just as in Jakarta, there were some tears. One woman had failed to convince her husband to join her in creating a Jewish home and raising a Jewish family. She could finish her conversion, but her two young children could not. We read the essay of a young woman who was eager to finalise her conversion but who was currently studying in another city. She was staying with a devoutly Christian relative, who refused to permit her to join with the Jewish community there or travel to Timika for the Beit Din. Some were tentative with their answers, while others were joyful and confident. In addition to interviewing parents separately, we also spoke with (very nervous!) children ages 12 and up. David wisely observed how intimidating it was for many people to meet with a beit din not only made up rabbis, but also three white people! 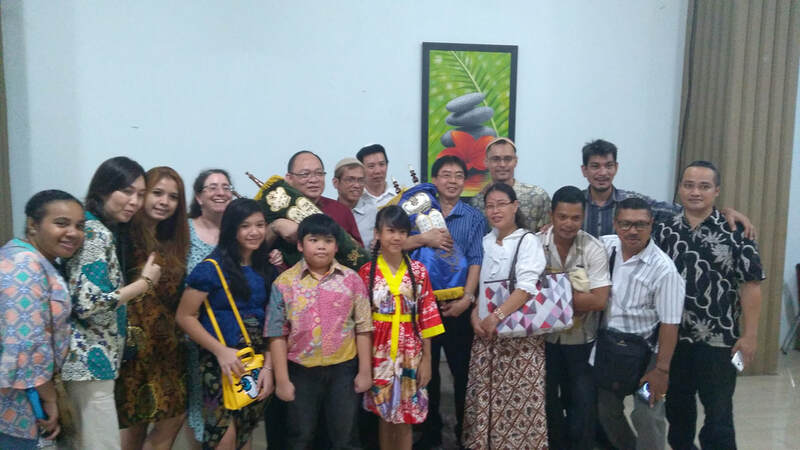 Although we spoke with each person individually, what really impressed us is what a close community this is. They come together every Shabbat for prayer and a shared meal. They are in the finishing stages of building their own synagogue--and I do mean building it by hand! The building is a simple construction of cement blocks with cement steps and metal windows. They have even built a mikvah (ritual bath) for men on one side and one for the women on the other, with no shortage of rainwater to fill them! 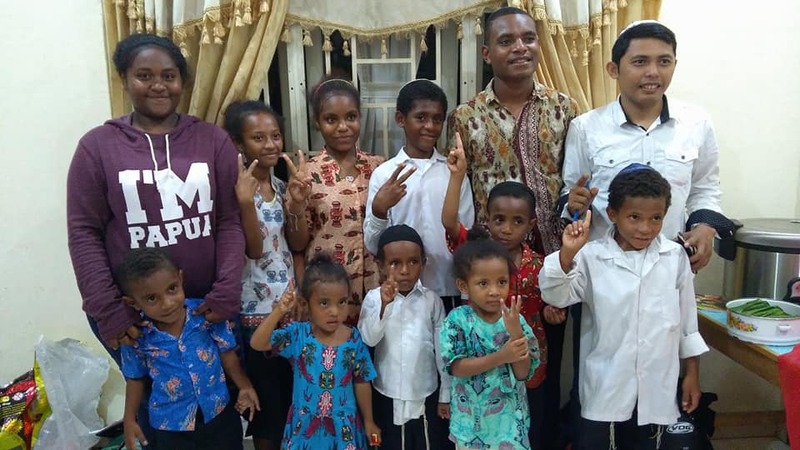 Together they form probably one of the more diverse communities in polarised Timika, where ethnic Indonesians often live very separate lives from ethnic Papuans. 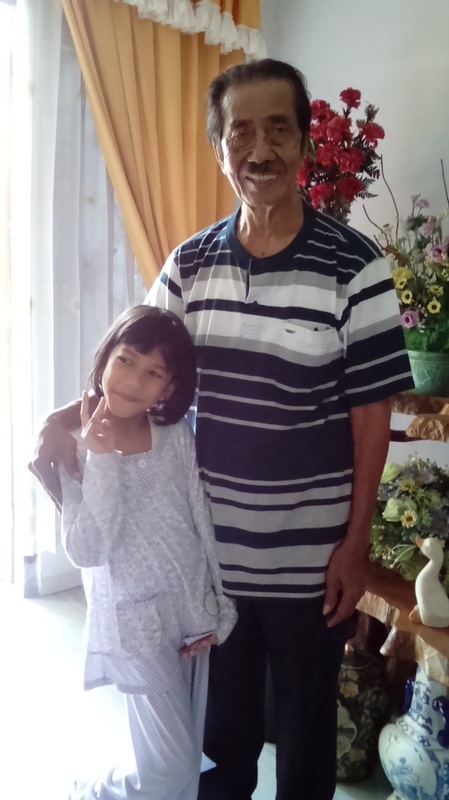 In Bapak John and Ibu Ariela's home, all are family. Our interviews were punctuated throughout the door by the arrival of more food, freshly cooked. I notice that since David's rather challenging encounter with the traditional food sago on our first evening, the food has failed to materialise again on the table. But there was been plenty of fresh fish, rice, vegetables, fruit and lots of fresh-brewed tea to keep us going. We serve ourselves food, and once we've started eating, the rest of the community joins in. After dinner, David and I offered divrei Torah as we had on the previous night. David previewed this coming Shabbat's Torah portion, in which Balaam blesses the Jewish people by saying, "How good are your tents o Jacob, your tents o Israel." He spoke of the two focii of holy living in Judaism: the synagogue and the home. At the moment, the Rumbiak home is serving both functions! Once the synagogue is finished and the roof no longer leaking, the community will move its services there, but I imagine the house will still be filled at meal times. Having repeated my teaching about Miriam the previous night, I decided to speak about another significant woman from the Torah: Hagar. I noted how very vulnerable her position was: she was a slave, a foreigner, and a woman. She is always identified as "Hagar, the Egyptian" and her name means "the stranger." She flees Abraham and Sarah's household after a resentful Sarah abuses her for becoming pregnant by Abraham, and finds herself sitting by a well, no doubt feeling that she is completely alone. An angel speaks with her, encourages to return to the household, and promises her that her reward will be to bear a son who will be the father of a nation: the Ishmaelites. When I concluded my talk, we invited questions. An early question asked about Hagar's return to Sarah's household: was it good advice for someone who was being abused in a relationship to return to her home? 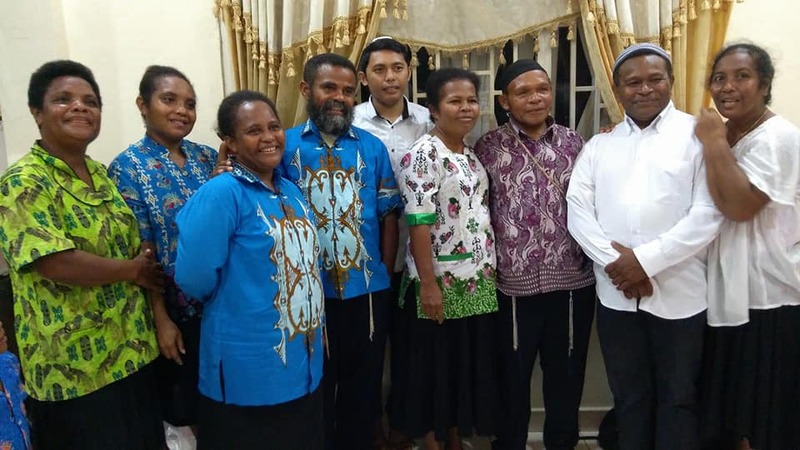 This question couldn't possibly have been more important for this community: both West Papua and Papua New Guinea suffer from some of the highest levels of spousal abuse in the world. Sadly, it is a part of the culture. But here was an opportunity, at least with this very small group, to offer a different model. ​David and I had been prepared for this possibility and had brought some texts which speak of how important it is for Jewish husbands to honour their wives. I shared some of these texts with the audience, and also spoke about contemporary understanding that controlling and violent behaviour by men often deteriorates over time and becomes increasingly dangerous. 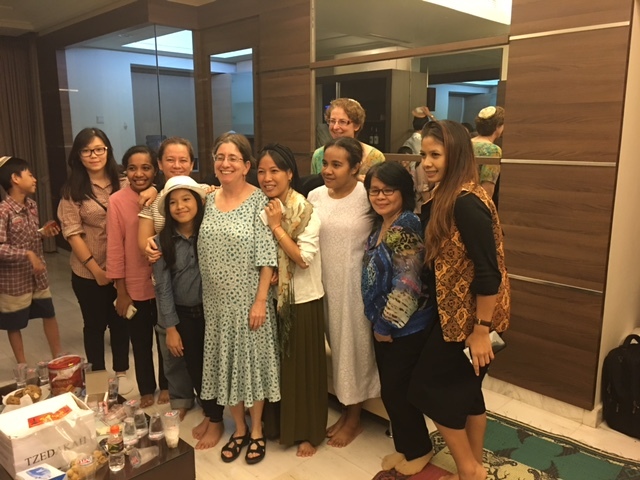 It was one of those moments (like the hour or so that Shelley and I spent talking with the women in Jakarta) that made me feel how very precious this trip is. Our western ways are very different from the lives these people live, but if they can find something from our teachings to improve their lives and especially to end generations of violence, I will be very grateful. 5:30 am on my first morning in Timika, and it is raining. Not a gentle rain, but an all-out downpour which has been going on for at least ten minutes. Even though we are sharing a house, I still feel very close to nature. The air conditioner in my room didn’t seem to be blowing cold air, but then I realised that this was because it is set in an open window, and its little bit of power can’t possibly compete with the overwhelming humidity from outside. So I gave up and ran the fan instead. Since I’d only had about five hours of sleep over the previous 36 hours, I slept pretty well. 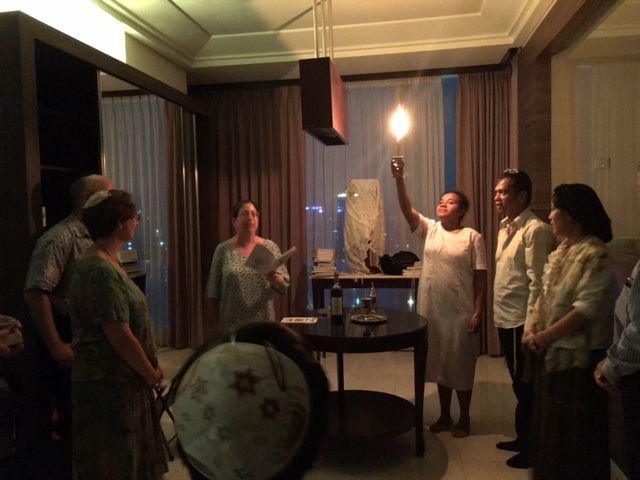 I joked that yesterday’s episode of “Rabbi in Indonesia” was brought to you by the word “belum.” “Belum” is Indonesian for “not yet.” As in, “the plane is not yet here.” “We are not yet ready to depart.” “The baggage has not yet arrived.” At Benny’s insistence, we left our apartment building in Jakarta at 5:00 p.m. on Monday so we could get to the airport in time for the 10:20 p.m. flight. Benny can be just a little overly cautious! By 6:00, we were at the Chinese-style restaurant not far from the airport where we eat just about every time we land or take off in Jakarta. The food is fresh and excellent, so I can’t complain too much. We were completely checked in and sitting in the rather grim waiting area by 8:30, and then the wait began. Our flight took off more or less on time, and we reached our transit point of Macassar at the southern tip of Sulawesi at 2:00 a.m. We were supposed to leave for Timika at 2:50 a.m., but the information signs ominously indicated that the flight would depart at 10:15 a.m.! Benny confirmed that this was in fact the case. 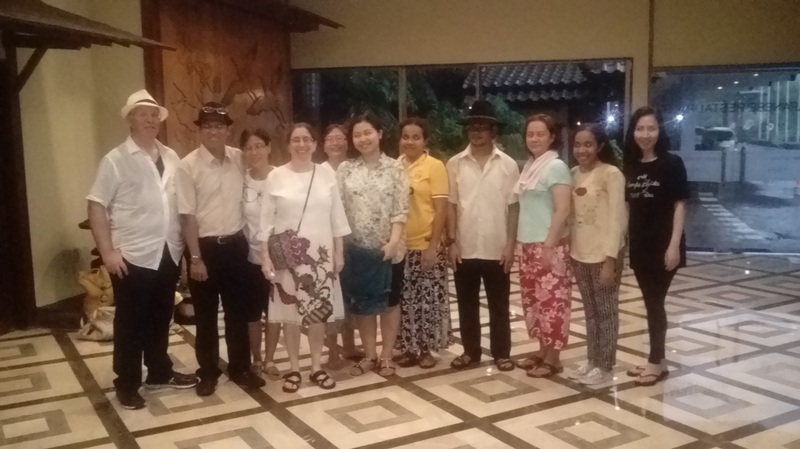 By 4:30 a.m., we had been shuttled to a “hotel” with orders to be in the lobby at 8:00 to return to the airport. I’ve stayed in worse places, but not in a long, long time. There’s certain amenities one takes for granted in hotels, like having a sink in the bathroom. A bucket of water just isn’t quite as satisfying. Thank goodness for hand sanitiser! The plane didn’t leave at 10:15, or 11:15. When the flight was called at around noon, a mighty roar was heard in the airport. I want to note that there are worse places to wile away a few hours than Macassar airport. The local textiles are gorgeous and very reasonably priced, and the airport itself is quite graceful and comfortable. Nevertheless the next time you book a flight within Indonesia, I’d encourage you to steer clear of Sriwabaya Air! So instead of landing in Timika at 6:00 am, we arrived at 4:00 p.m. We are getting accustomed to waiting 30 minutes or more for our luggage. It takes even longer when there’s only one baggage truck to ferry bags back and forth from the plane! By 5:00 we had all of our stuff and walked out of the tiny airport to meet our hosts. We were officially welcomed by Ariela, whom I think of as close to royalty. She was trained as a Christian pastor, but chose to leave the church several years ago and start learning about Judaism. Many in her community followed her. We drove in two cars to the sprawling home she shares with her equally impressive husband John. 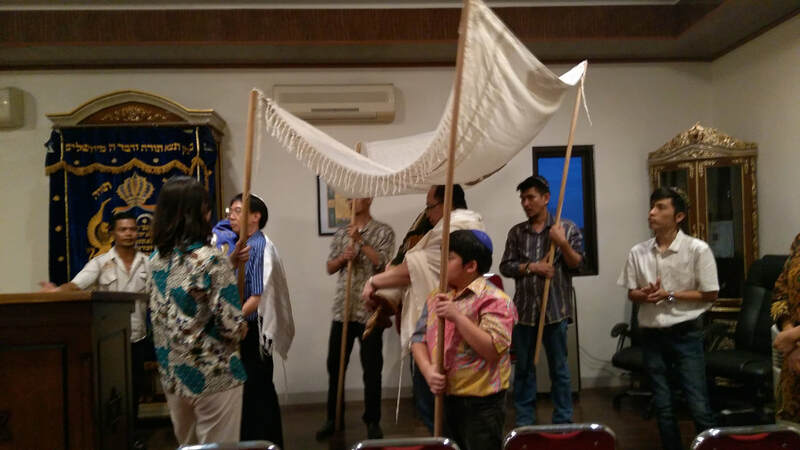 The community’s ark, which holds a Torah scroll only when Benny brings one with him from his home town of Lampung in eastern Sumatra, sits quietly at the end of the dining room. The modest synagogue building is right across the path. We had all been thinking that a shower and a nap might be just the thing, but that was still a little ways away. 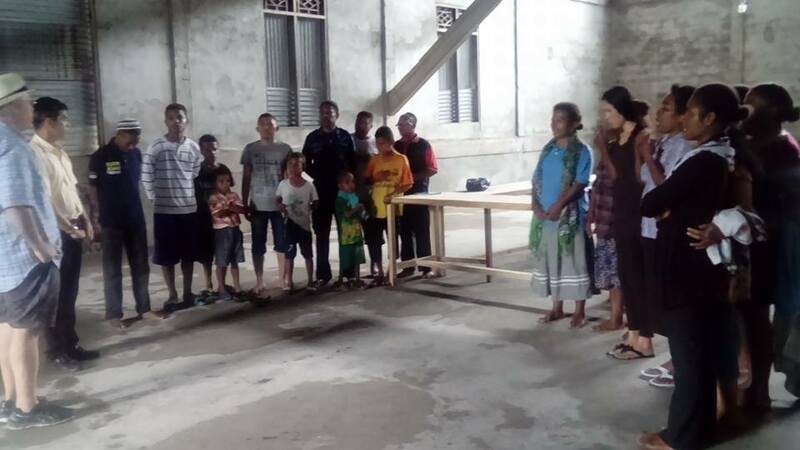 Instead, before we were even let in the door, we had to be officially welcomed to Papua. This is a solemn but very short ceremony. Magnificent bowls, made by local craftspeople, had been purchased for the Kunins and for me. In turns, we were instructed to remove our shoes and step one foot at a time into the bowl as Ariela rubbed our feet in gestures symbolic of washing them. Then she held the bowl before each of us and tearfully welcomed us. She has been waiting for a very long time to welcome rabbis to her land! We went inside and sat down to a meal of tempeh, fish, vegetables, rice and sago. Sago is a gelatinous mix of boiled cassava leaves which is a staple of the local diet. I haven’t worked my way up to trying it so far, and it may never happen. I have a feeling I’ll still be welcome! Only the community elders sat at the table with us, while about 25 other people, including a lot of children, ate in the other room. 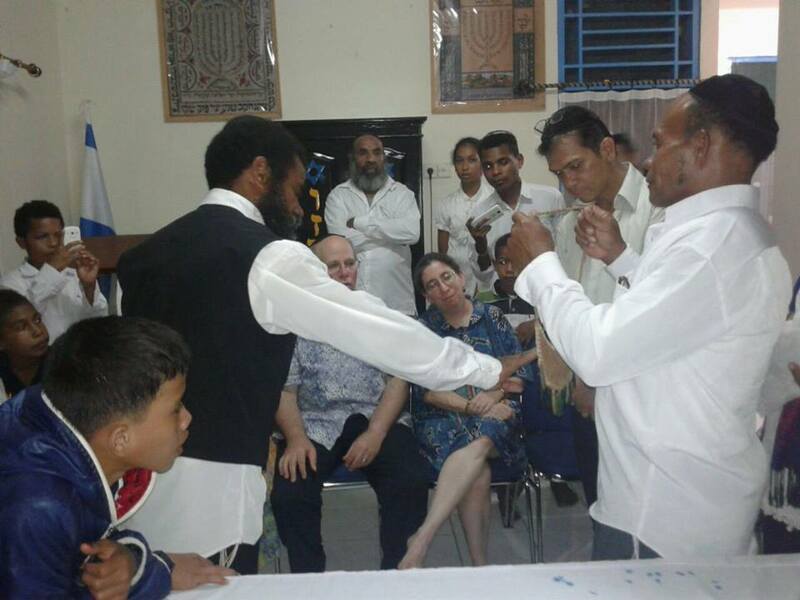 When we finished eating, David and I presented some Torah teachings to the crowd as Benny translated. It was about 7:00 at night when we were driven to our house, had a (cold) shower and went to bed. What a day! 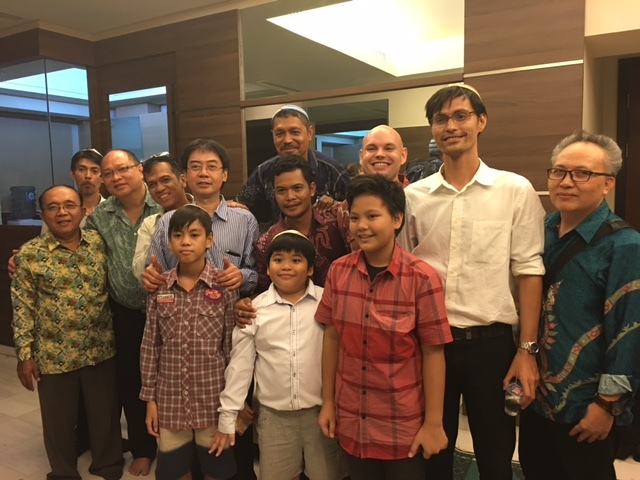 Selamat datang kepada Orang-orang Yahudi--Welcome to the Jewish People! I am sitting in the living room of our Jakarta apartment at the end of yet another very long day. 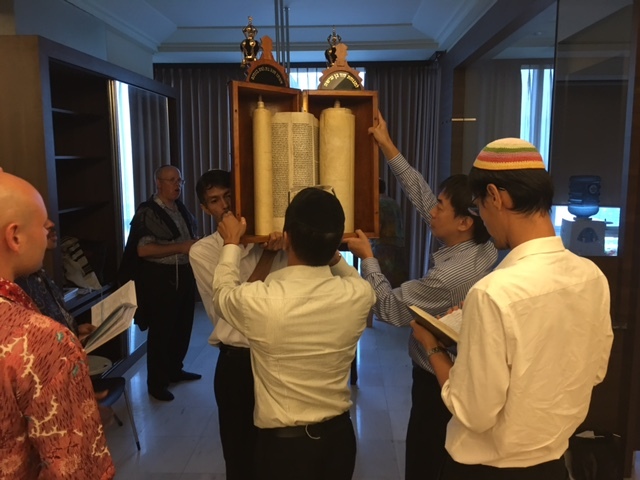 Our day began shortly before 9:00 a.m. this morning with the arrival of seven conversion candidates prepared to by interviewed by our beit din. It was quite a remarkable morning. As David commented, religious identity is far more fluid that we would ever have expected in the world’s largest Muslim country. Those we interviewed had grown up with a variety of religious traditions. One woman had been born into a Confucian home (Confucianism is recognised as an official religious tradition in Indonesia). 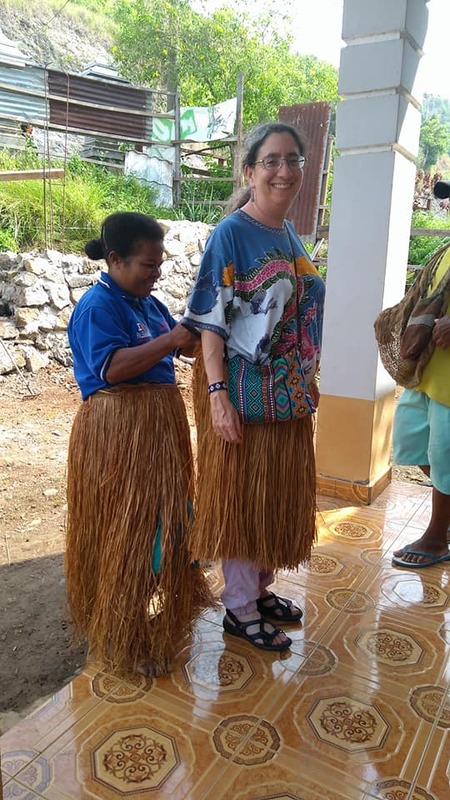 Her family converted to Catholicism when she was a little girl, and then she married a Pentecostal Christian and converted again. When they divorced, she felt that it was time to choose her own religion! All described a process of coming home, the same language that I hear so often in Adelaide from those choosing to convert. Several people cried as they spoke with us; others laughed and seemed to be in a mood of celebration. Some of the people are comfortable professionals. One person is a laborer who earns a $6 a day. And yet he sends a donation of between $10 and $30 every second month to support the project of bringing David and me to Indonesia. How guilty do I feel! At noon, the nearby mosques echoed with the call to prayer, but we were still going. We finished up about 1:00, feeling tired, hungry and happy. The four of us plus Rachel were treated to our second meal in two days at Dharma Kitchen, an absolutely fabulous Buddhist vegetarian restaurant located in an opulent shopping mall. If you’re ever in Jakarta, you have to go! There are western, Chinese, Malaysian, Thai and Indonesian dishes on offer, and everything we tried was absolutely delicious. From there we drove down to Ancol, an entertainment area on the beach for the mikvah. 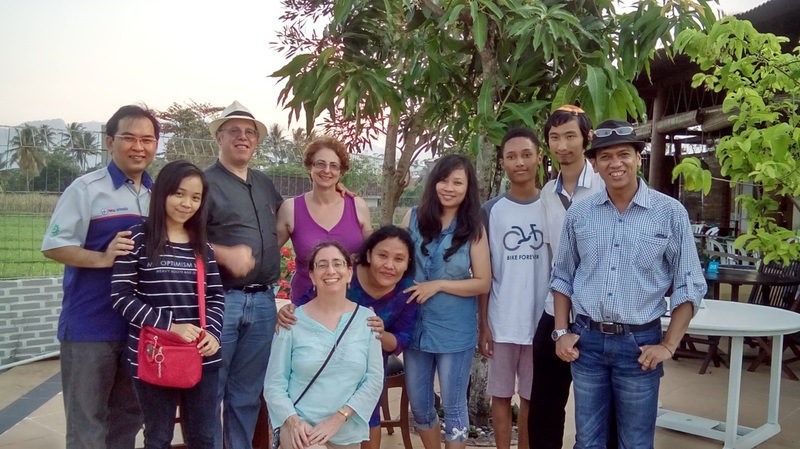 We met up with our conversion students, plus some family members who had tagged along. We eight women made our way down to an isolated area of the beach and waded into the warm water together. Shelley and Ied each woman in turn through the immersions, mindful of grey clouds that were rapidly gathering. We made it out just in time; we were in the change rooms getting dressed when the thunder and lightning started up. By the time we met up with assorted family members, it was absolutely bucketing down rain. I learned a new word--gujan, meaning rain. Gujan besar--big rain! Even though we had dried off, by the time we got back to the car, we were wet all over again. In typical Indonesian fashion, eight of us crammed into a car with seats for five: two in the front, four in the back, and two smashed into the hatchback along with various household items. It was just a bit squishy, especially since it took well over an hour to get back to the hotel! After such a lavish meal, we weren’t really hungry for a large dinner. But I did make an ice cream run to the local 7-11 down the street--the very first time I had walked outside the hotel since we arrived on Friday afternoon. Tomorrow is supposed to be a free day, so maybe I will get to walk around some more. And then we board a 10:00 p.m. flight for Timika in West Papua, which is sure to be even more of an adventure.